The Liquid Flush Diet, also known as the 5-Day Liquid Cleanse and Flush, is a commercial dietary supplement program that the manufacturers claim can clean and detoxify your intestines and body tissues and enhance your overall health with antioxidant compounds. The Liquid Flush Diet involves only one step and is simple to follow; however, there are side effects and disadvantages associated with this program that might make it a poor choice for some dieters. The 5-Day Liquid Cleanse and Flush program is marketed by the company Applied Nutrition and contains three specific herbal blends that proponents of the supplements say can give you an easy way to safely cleanse your colon if you are suffering from bloating, gas, fatigue and an overall feeling of sluggishness. The three herbal blends contained in the program are the Cleansing Blend which cleans your intestines of toxins and undigested food and waste matter; the Soothing Blend, which is supposedly formulated to calm the digestive system and promote its proper function; and the Antioxidant and Replenishment Blend, a blend of fruit extracts that provide antioxidant compounds and essential nutrients that may be lost during the five day cleansing process. 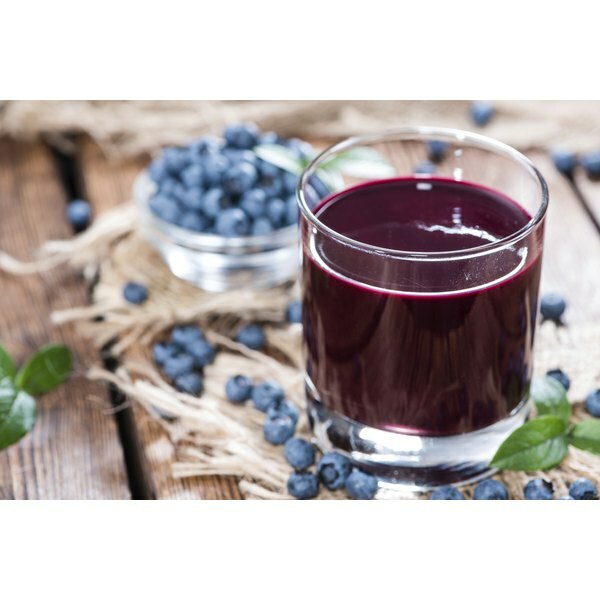 The Antioxidant and Replenishment Blend contained in the Liquid Flush Diet fluid consists of concentrated extracts from blueberry juice, cranberry juice, pomegranate juice and prune juice, as well as extracts from the noni fruit, also called the Indian mulberry. The Soothing Blend consists of 30 mg of fennel seed extract, while the Cleansing Blend contains a mixture of burdock root and Cascara sagrada bark extract. The fluid's inactive ingredients include filtered water, fructose, sucralose, natural flavors and artificial colors. Each box of 5-Day Liquid Cleanse & Flush contains 10 plastic tubes full of 10 ml of the concentrated liquid containing all three herbal blends. To use the supplements, the manufacturers instruct you to open one vial in the morning and mix the contents thoroughly with 16 oz. of water. Drink one of these with your breakfast, then repeat the procedure in the evening and drink another just before eating dinner. According to the Diet Pill Reviews site, while you are on the Liquid Flush Diet you may experience protection from urinary tract infections and be able to eat less food without feeling hungry. Since the program lasts for only five days and does not require users to severely restrict their solid food intake, it is much simpler to follow than other detoxification cleansing programs. Purchasing the supplements is also relatively inexpensive compared to other detox aids. The liquid supplements that make up the Liquid Flush Diet have been connected to a number of side effects, including diarrhea, nausea, dizziness, dehydration, headaches and abnormally excessive urination. The manufacturers recommend that anyone who suffers from chronic diarrhea, abdominal pain or loose bowel movements or any women who are pregnant or nursing should avoid using the product. Additionally, the 5-Day Liquid Cleanse and Flush has not been approved for safety, purity or effectiveness by the U.S. Food and Drug Administration; speak to your doctor before you begin the program. SlimmingPillsReview.com: Does 5-Day Liquid Cleanse and Flush Work?